A man whose daughter was shot and killed by a U.S. Border Patrol agent in Chula Vista two years ago continues to seek answers in her death while advocating the use of body cameras by agents. On Sept. 28, 2012, San Diego mother of five Valeria Tachiquin-Alvarado was fatally shot 10 times by a plainclothes Border Patrol agent on Moss Street. According to a report released by the San Diego County Medical Examiner’s office and obtained by NBC 7 later that year, Tachiquin allegedly tried to flee from an agent conducting an enforcement operation on someone else. She allegedly disobeyed orders from officials and hit the agent with her car, trying to drive away with him clinging to the hood of the car, according to the report. 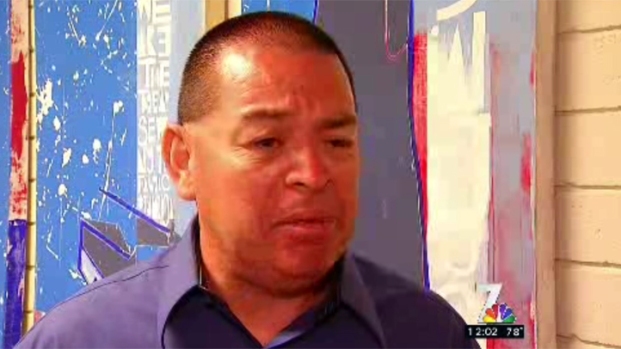 NBC 7 reporter Diana Guevara spoke to the father of Valeria Monique Tachiquin, who was shot by a Border Patrol agent last week. He says authorities have yet to formally notify them of Valeria's death, let alone why she was shot in her car. While holding onto her car, the agent drew his service weapon and fired 10 shots into Tachiquin’s vehicle. She was struck in the right hand, arm, abdomen and chest, and died from bullet wounds to her heart, aorta, lungs and other vital organs, the report confirmed. The medical examiner found Tachiquin had a methamphetamine level of .10 in her blood at the time of the incident. On Tuesday – two years after Tachiquin’s death – her father, Valentin Tachiquin, spoke at the Alliance San Diego office about his ongoing fight for justice and answers. Valentin – who’s been advocating for lapel body cameras for Border Patrol agents since his daughter’s death, as well as more training and accountability of U.S. Customs and Border Protection officers – said he still doesn’t understand why his daughter was killed. UpdatedCDC Confirms 1st U.S. Ebola Case: "We Will Stop It Here"
Valentin said that to this day, he still doesn’t know much about the agent who fired at Tachiquin, including whether or not that agent is still working and carrying a gun, and whether he’ll face charges. “We have been looking for justice since the first day and we will continue seeking justice. We want to know the answers. Why? What happened? What made this officer trigger? Why did he kill her? Was he properly trained?” the father said. The family of Valeria Monique Tachiquin is demanding to know more about the border patrol agent who shot and killed the mother of five. Though time has passed and Valentin continues to push for changes with U.S. Border Patrol, he said one thing remains the same. “Regardless of what I do and I say, my daughter will never be back with me, with us, with her kids,” he lamented. According to witnesses and family members, Tachiquin was backing up – not driving forward – when the agent fired at her. 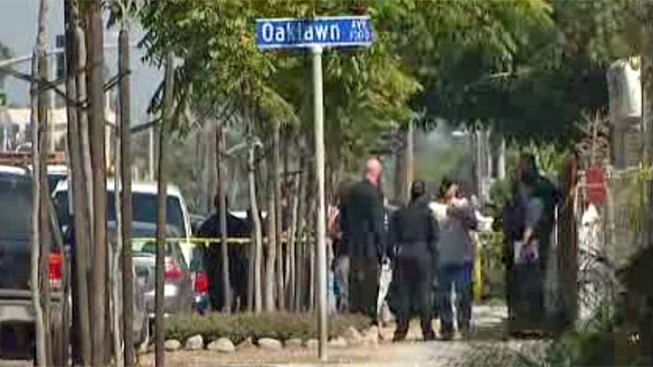 They also say the agent was not on the hood of her car, but was standing when he opened fire. With discrepancies between witnesses and what officials have reported, Valentin continues to seek a final report of what actually happened that day leading to the shooting of his daughter. As he awaits resolution, Valentin has heard that the Border Patrol’s investigation of the case has been completed and is now with the U.S. Attorney’s office, but has heard no further details. 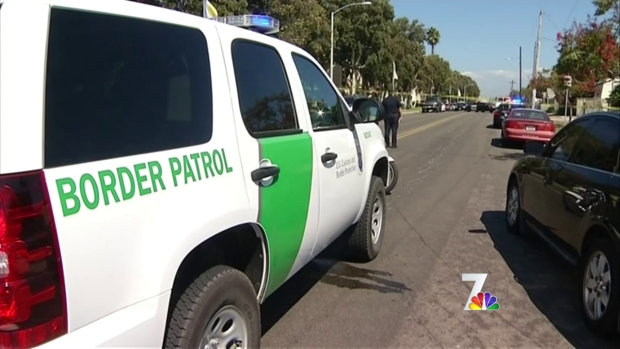 NBC 7 reached out to U.S. Border Patrol officials who said they could not comment on the case but did say future Border Patrol academy classes will be using body cameras to train – but not in the field. “[I want] better training for their officers in the field and for no people to die, especially. I’m waiting for the truth,” he added.